Yoga is the modern practice of ancient postures and breathing techniques designed to cultivate and balance the mind, body, and spirit. Incorporating Yoga training methods into one’s workout is becoming an important component to achieving overall health. Yoga teaches postures that reduce tension, build core strength, and allow the practitioner to return to a natural state of harmony. 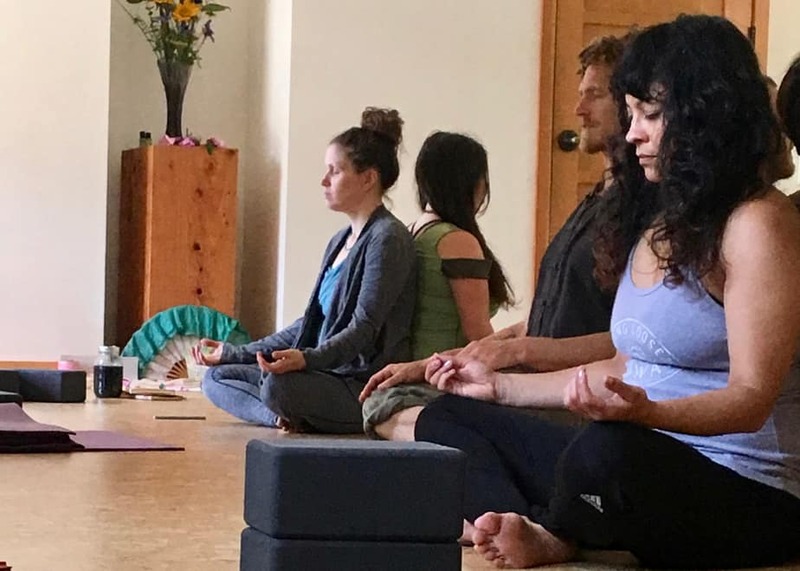 In every class as well as in private therapeutic yoga sessions, I teach alignment principles based on my bodywork and Anusara yoga training and experience. My yoga classes and retreats are designed to serve students of any level of experience or ability. Ever wish that you could learn the magic secret to getting your body to open up and release tension? Anusara yoga does exactly this – it is specially recognized for facilitating excellent alignment in yoga poses in an effortless and simple way. These biomechanical principles for aligning the body, heart, and mind remain the same regardless of the pose and even apply in your life off the mat. I am committed to helping build and empower each students’ practice, while inspiring a heartfelt, joyful, and creative yoga experience. I offer workshops, one-on-one training, and small private group yoga classes in series. These types of training offer a more hands-on approach to deepen your yoga practice or special needs. Contact me to arrange for a private therapeutic yoga session for yourself or a small group. Have a special event coming up? Wedding, Retreat, Mother/Daughter weekend? Let Yoga and Massage be the icing on the cake!